Lili Ladaga is a content editor for LIVESTRONG.COM. She's written for CNN, CNN.com, Citysearch.com and Yahoo News. She's a former couch potato-turned-Pilates-fanatic who enjoys hiking, traveling and eating everything ... in moderation, of course. Full disclosure: I get claustrophobic, I don’t like baths and I’m afraid of the dark. Floating, or flotation therapy, is the new “it” experience in the wellness world. But it’s actually decades old — the original sensory deprivation tank (now attractively renamed a “float therapy tank”) was invented by neuroscientist John C. Lilly in the 1950s. Lilly, a noted eccentric who reportedly took LSD before climbing into the tank, wasn’t looking to soothe stressed urbanites; he wanted to see what weird stuff happened to his brain when it was deprived of all sensory stimulation. 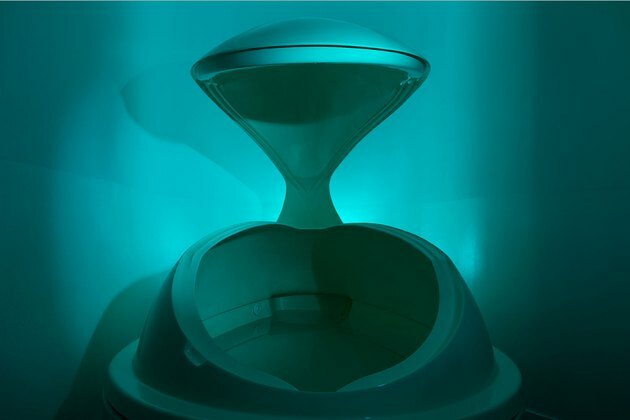 These days, float tanks range from “Invasion of the Body Snatchers” pods to deluxe tanks like the ones at Just Float in Pasadena, California. Needless to say, I went with the deluxe tanks for my first float experience. 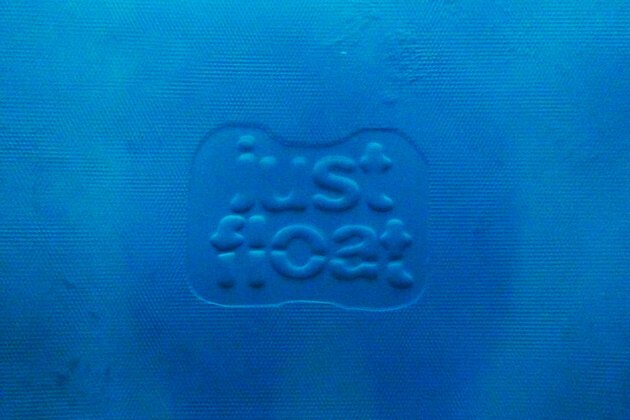 What Do Float Tanks Look Like? 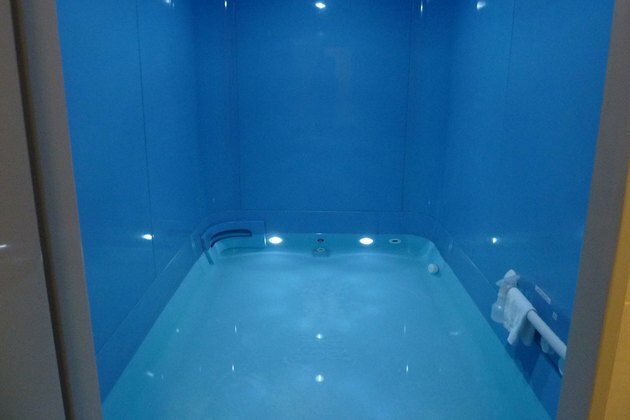 At Just Float, each tank is located in a private room that features a shower, robe, towel and other touches like ear plugs, hair ties and ear drops. Fortunately for my claustrophobia, Just Float owner Jim Hefner designed his tanks with people like me in mind — with lots of room: Each tank is about eight feet long and seven feet wide. Tanks are filled with 1,300 pounds of Epsom salts dissolved in 250 gallons of water, which translates to a depth of about 11 inches. Once you lie down in the water, the salt keeps you bobbing on the surface, creating a trippy sensation of weightlessness. The water temperature is about the same as the surface of your skin, around 95 degrees, which is designed to help you “lose perception of where your body ends and the water begins,” says Hefner. I’m Floating in a Tank. Now What? Once I was ready to start my session, I lay back in the water, hit a big white button on the wall and the lights and music went out. Let the freak-out begin! Jim also suggested I focus on my breathing, which helped me stay present in my dark, wet, silent tank. And it did actually prevent me from making shopping and to-do lists in my head while I bobbed around. The session lasted an hour, but I truly had no sense of time passing or of how long I had been in the tank. While I didn’t see unicorns or rainbows, I didn’t actually think about anything — at all. Which in and of itself is a weird experience. When my session was up, a chime sounded and the lights and music came back up. The dopey, relaxed feeling was similar to the one I get after a massage, except this time I didn’t need someone kneading me like a lump of dough. 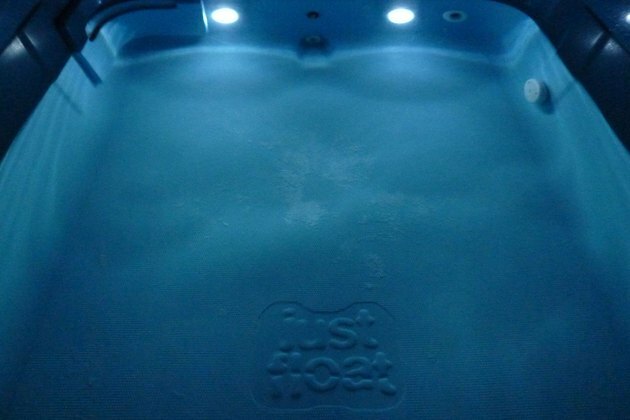 Proponents (and studies) say that float therapy can relieve stress, chronic pain and even enhance athletic performance. I can’t really speak to the last two claims, but there was a noticeable softening of my usual attitude while driving home: Los Angeles traffic can transform the inside of my car into the set of “The Exorcist,” but that day, there was nary a fist shaken nor a horn honked, so I can give a hearty thumbs-up to the stress-relief claim. Pro Tip 1: Don’t shave or get a tattoo beforehand. Saltwater + cuts/raw skin = ouch. Pro Tip 2: Don’t touch your eyes once you’re in the tank. Really. Saltwater + eyeballs = even more ouch than saltwater in a cut. Pro Tip 3: Save the grande triple latte until later. You don’t want to completely obliterate the vibe by getting out of the tank and traipsing to the toilet. Pro Tip 4: And speaking of: Don’t pee in the water. If you do, the water will turn blue and an alarm will sound. (Just kidding! But, really, don’t be gross. You’re floating in it). Have you ever tried float therapy, or “floating”? Did you enjoy it? Why or why not? Did you feel better and/or less stressed afterward? Leave a comment below and tell us more! Ashley Graham and Her Mom Model Swimsuits — And It's Adorable!